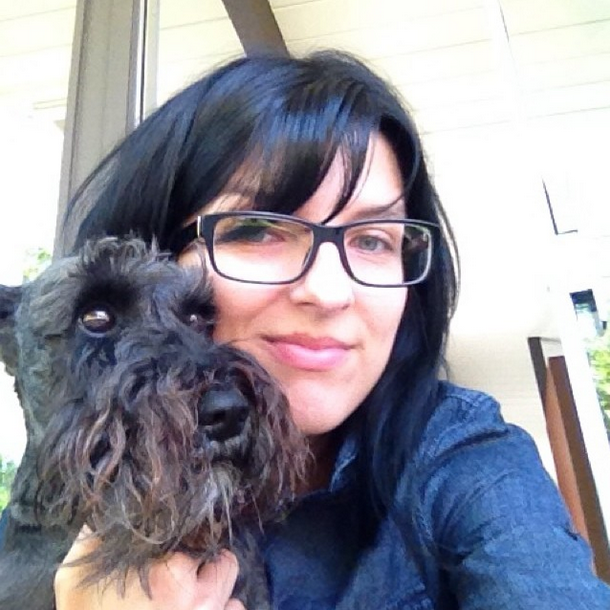 On a recent weekend getaway to Portland (which we loved! 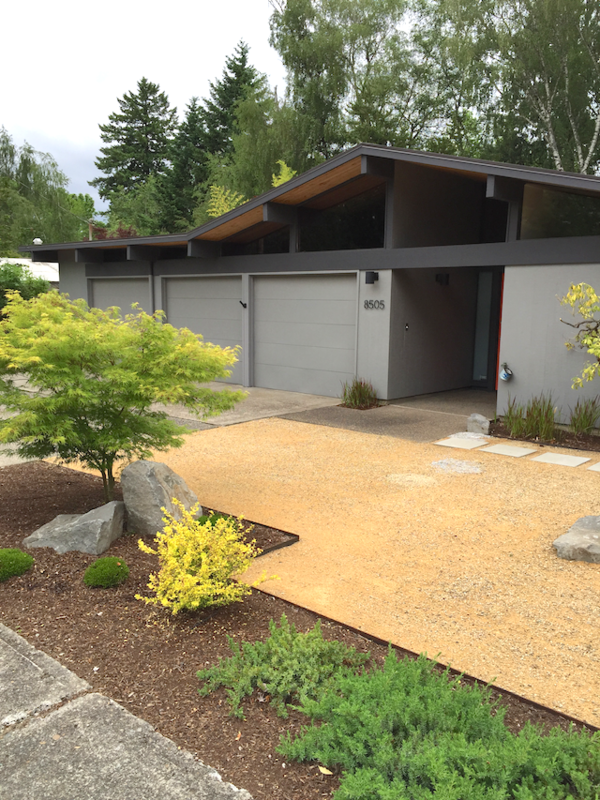 ), we made an afternoon trek to take a look at some mid-century modern homes. 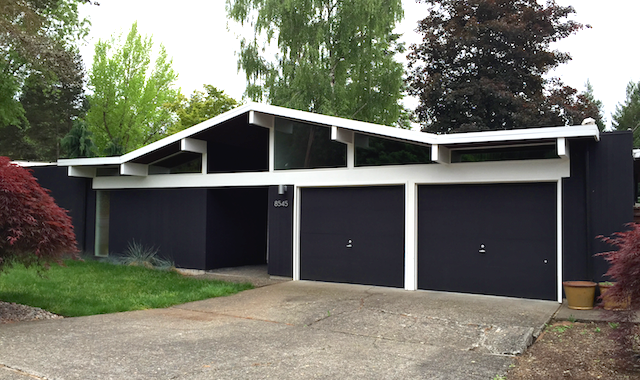 Now, they’re not Eichlers. Or are they? 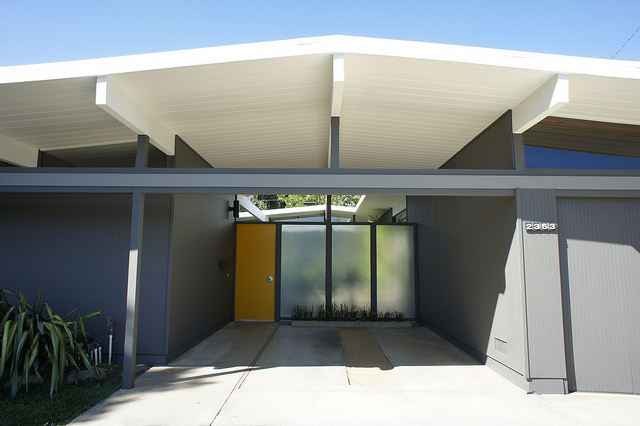 These are homes built by Robert Rummer, using Eichler models as inspiration and consulting with the some of same architects who designed them. 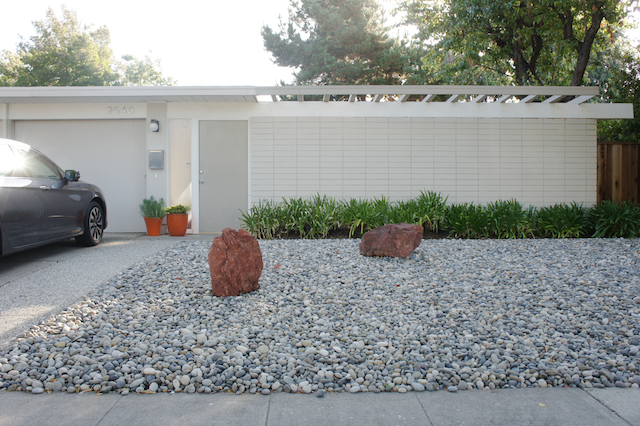 You can read all about Rummer on the Eichler Network. 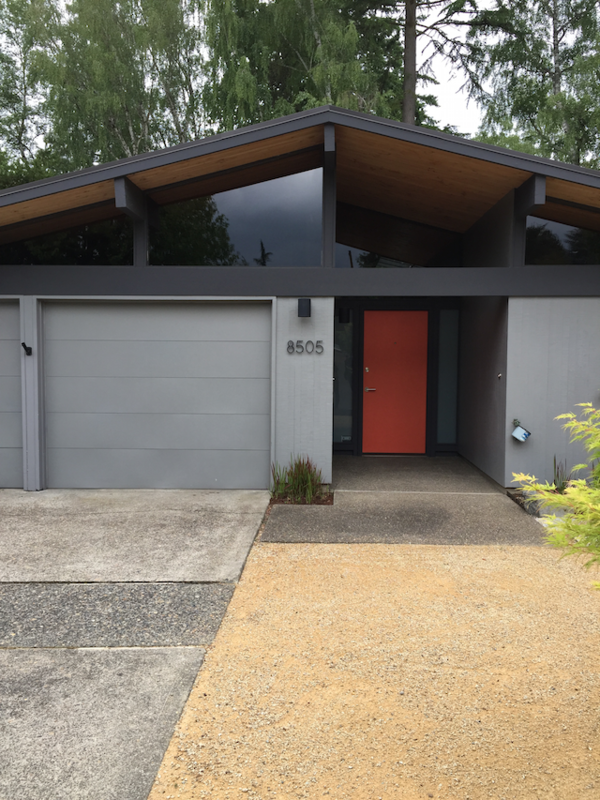 There are about 750 homes built by Rummer in Oregon, with several neighbourhoods in and around Portland. 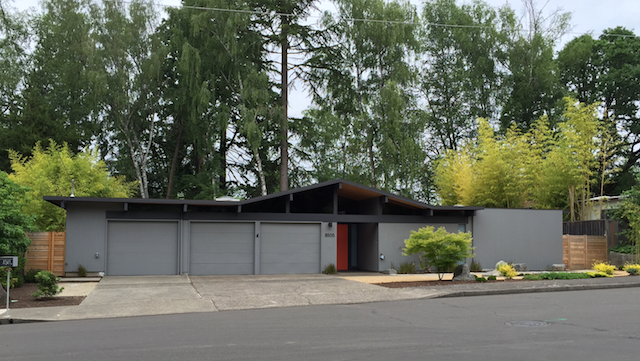 We decided to visit Bohmann Park in southwest Portland (thanks for the rec, Andy!) 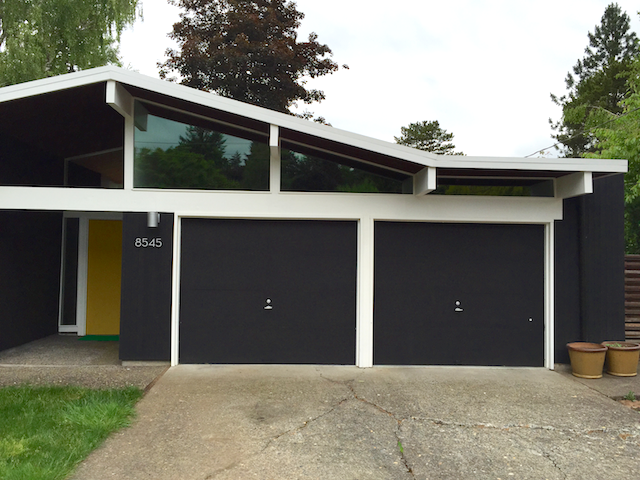 and were fascinated to see models we recognize as Eichlers from our own neighbourhood. 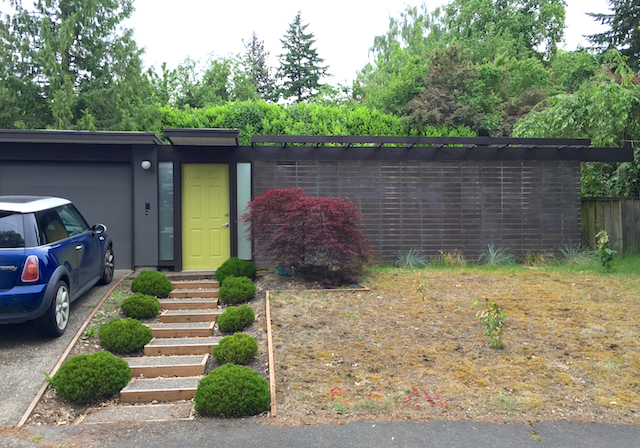 This cute home had an interesting courtyard. I like this soft blue with the pretty wood fence. 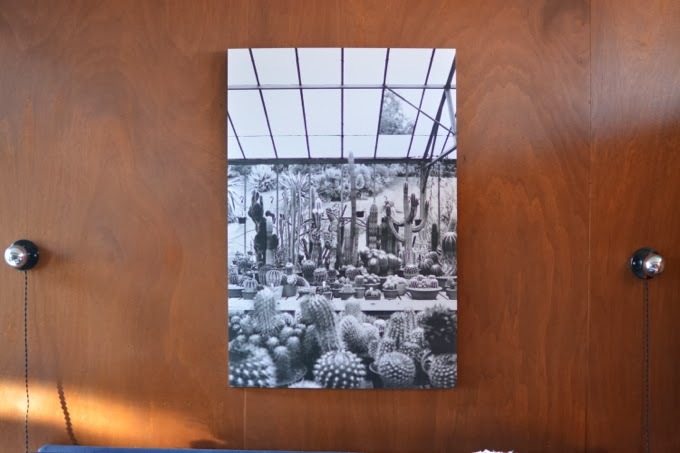 You can see much better pictures from its listing. 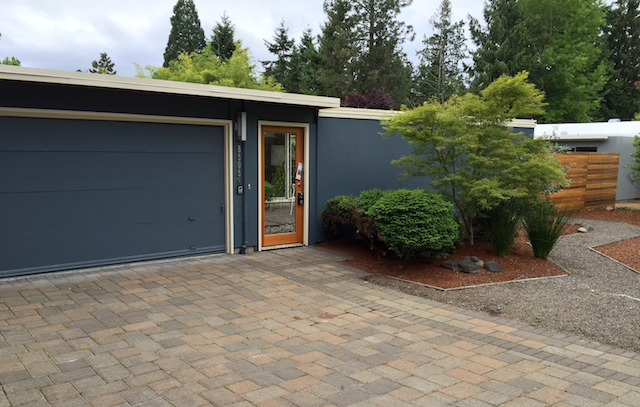 Loved this dark scheme with the yellow door. Sharp. It made us chuckle for sure. Just about identical, right down to the little overhang above the front door, which sticks out just a bit more in the Rummer version. No doubt very helpful to keep the owner from getting rained on too much while entering the home. Very Portland-appropriate. I liked this wide pitched-roof model. Lots of natural wood ceiling envy here. And great landscaping. 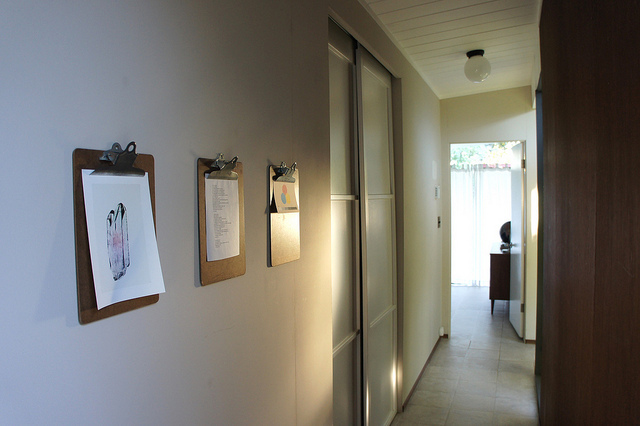 Take a peek inside here. 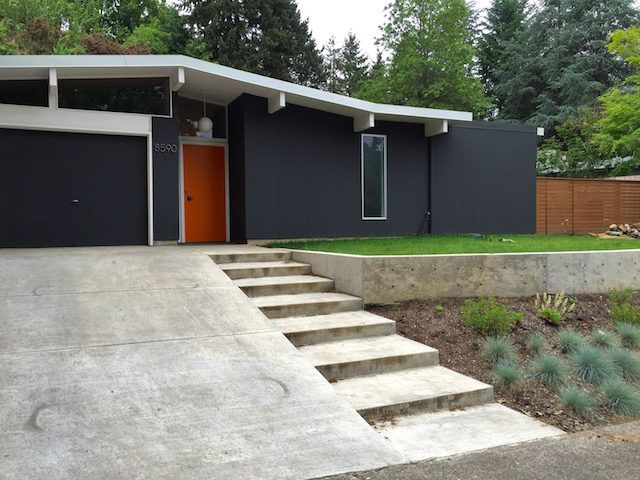 I’m thinking that third garage is a later addition, but it’s hard to tell. Either way, it was quite photogenic. Just one more, okay? We loved seeing what felt like our own neighbourhood amid this very Pacific Northwest environment. Lots of wood cladding and darker colour schemes, under a sprinkling of pine needles. 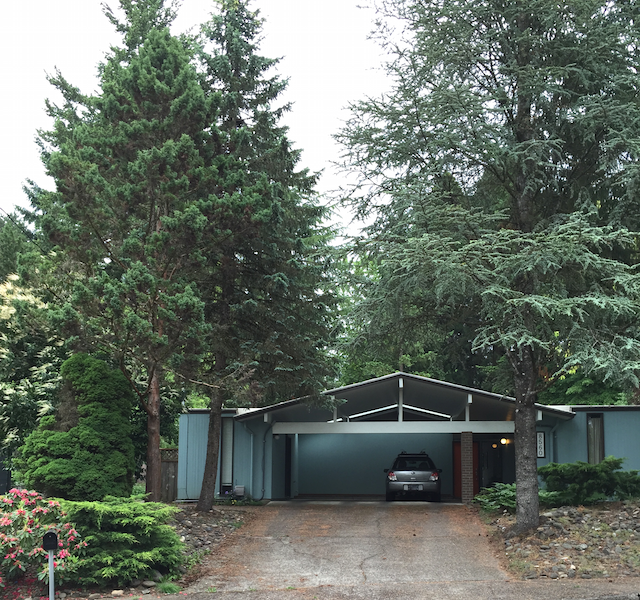 If you’re in Portland, you can find these Rummer homes along SW Bohmann Parkway, Cecilia Terrace, and SW 84th and 86th Avenues. The three car garage models are interesting! They’re beautiful! Thanks for sharing. Yes! Portland was so nice– we’re hoping to visit again soon too. Thanks for the recommendation!